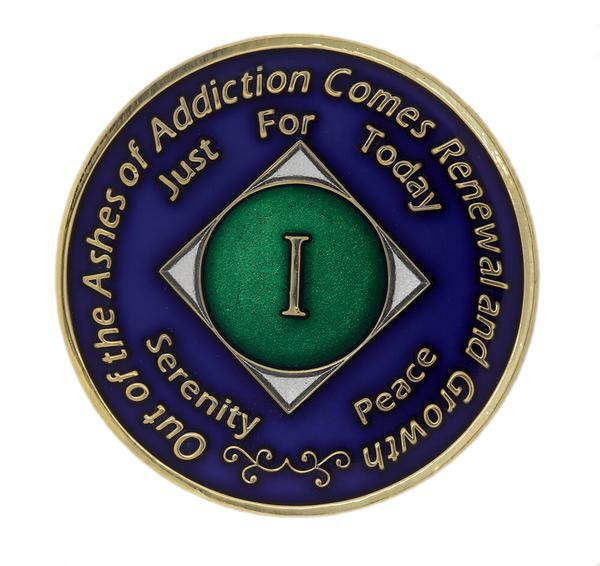 This Tri-colored Enamel medallion feature the time honored program phrases "Out of the Ashes of Addiction Comes Recovery and Growth", "Just for Today" and the words Serenity and Peace. On the reverse side is the Serenity Prayer with the program words "God, Gratitude, Hope and Healing" and in the center "Miracles Happen." 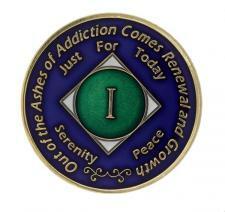 Turquoise, blue, silver NA medallion with 24kt gold plating.